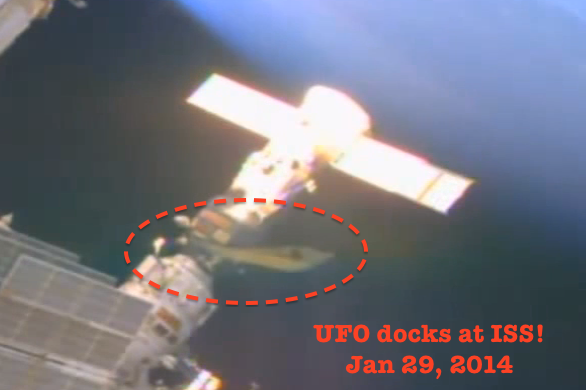 UFO SIGHTINGS DAILY: Aliens Dock Ship At ISS To Have Meeting On Live Cam, Jan 29, 2014, UFO Sighting News. 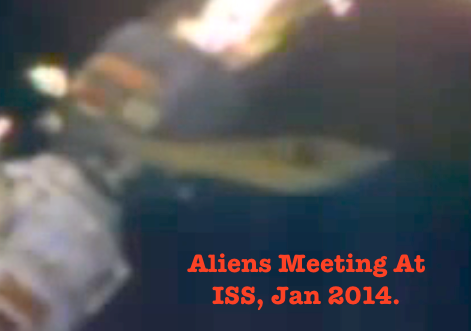 Aliens Dock Ship At ISS To Have Meeting On Live Cam, Jan 29, 2014, UFO Sighting News. When I asked Streetcap1 if he had any more footage of the UFO, he stated today: "Yes, it was there for some time. Kept the video short though as it does not move then they go to blue screen."